The Kia Sportage features seating for five in a spacious and modern interior and benefits from a comfortable ride. Power comes from a choice of 4-cylinder engines with and without turbocharging that optionally drive all wheels. 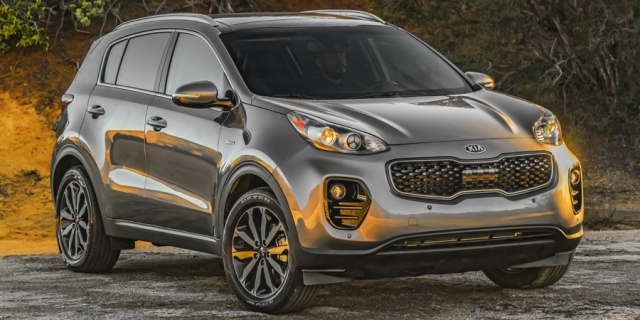 For 2018, the Kia Sportage adds new EX Sport Appearance, LX Technology and LX Popular option packages, while the EX AWD Technology Package now includes heated rear seats. EX now come standard equipped with power folding, heated door mirrors, Blind Spot Detection, and Rear Cross Traffic Alert. Get the best price for the Kia Sportage of your choice from a dealer in your area. Request a price quote now.